Posted By:Unknown | At:10:49 PM Be the first to comment! This is huge!!!! 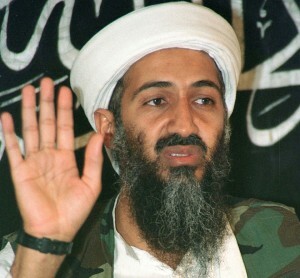 Osama bin Laden has been killed by US military actions and reports are saying that the US has the body! Osama bin Laden was killed during a fire fight in Pakistan. He was killed by human actions and no US casualties resulted. This is definitely a game changer for the President. He's managed to accomplished something that this country has been trying to do for almost a decade. The President reiterated that we are not at war with Islam. He said that Osama bin Laden was not an Islamic leader, but rather a mass murderer who also killed muslims.